New York Jets running back Le'Veon Bell and inside linebacker Darron Lee are not present for the team's three-day voluntary minicamp this week. The Jets could decide to trade Lee after signing C.J. Mosley in free agency. While the workouts are voluntary, it's still disappointing that Bell, the team's prized free-agent acquisition this offseason, wasn't in attendance. However, Bell was previously taking part in offseason workouts and should be ready to go for training camp and mandatory minicamp in June. Many fantasy owners will be hesitant to take Bell in the first round after he held out all of the 2018 season, but he should be used heavily in New York's offense and will have high-end upside as an RB1. The Kansas City Chiefs acquired defensive end Frank Clark and a third-round pick in 2019 from the Seattle Seahawks on Tuesday in exchange for a first-round and third-round pick this year and a 2020 second-round pick, sources informed of the move told NFL Network's Ian Rapoport. Clark then agreed to a five-year deal worth $105.5 million with $63.5 million guaranteed with the Chiefs after the trade became official. Clark is a great fit for Kansas City in their move to a 4-3 defense under coordinator Steve Spagnuolo. Clark is just 25 years old and had a career-high 13 sacks in 2018 with Seattle. He will be a strong IDP selection this year. Free-agent tight end Benjamin Watson, who was intending to retire after last year, is considering a return to the NFL, according to sources. Watson had 35 catches for 400 yards and two touchdowns in 16 games for New Orleans in 2018. He's unlikely to return to the Saints after they signed Jared Cook, and it's fair to wonder how much the veteran has left at this late stage of his career. Even if he signs with another team, it's unlikely that Watson will be a fantasy option in 2019. Atlanta Falcons safety Keanu Neal (knee) has been lifting weights with his teammates during the offseason program, according to the Atlanta Journal-Constitution's D. Orlando Ledbetter. There is no timetable for his return from a torn ACL in his knee last year, but he is expected to be ready for Week 1. The Falcons also plan on picking up Neal's fifth-year option for the 2020 season. Neal has 220 tackles, eight forced fumbles, 14 pass breakups and an interception in 31 career games. A healthy return for Neal will be a considerable boost to an Atlanta defense that was really hurt by injuries to their key players in 2018. Veteran scout and SiriusXM Radio analyst Gil Brandt compared Duke quarterback Daniel Jones to Peyton Manning. I. Love. Dan Jones, Brandt said. I have to say this carefully: When you watch him and you go back (20) years and watch Peyton Manning, you are watching the same guy. Hes athletic. He doesnt have a rocket for an arm, but neither did Peyton. Very smart. It's believed that the Giants have ranked Jones as the top player at his position and could be willing to take him at sixth overall as the successor to Eli Manning. The New York Jets seem "determined" to trade down from the third overall pick in the draft later this week, according to multiple NFL sources. General manager Mike Maccagnan has made it clear that he's "open" to the idea of moving down and adding picks later in the draft. The Jets only have six picks in a very deep and rich draft. The team gave up three second-round picks when they moved up to select quarterback Sam Darnold last year. The biggest variable will be whether the Cardinals take Oklahoma QB Kyler Murray at No. 1 overall. DE Frank Clark was traded by the Seattle Seahawks to the Kansas City Chiefs on Tuesday, April 23. In exchange, Seattle acquired Kansas City's 2019 first-round draft pick and a 2020 second-round selection, according to a source. The teams reportedly will also swap 2019 third-round selections. San Francisco 49ers PK Robbie Gould, who has been offered the team's franchise tag but has yet to sign it, has informed the team he will not negotiate or sign a long-term deal with them and wants to be traded, according to ESPN's Adam Schefter. Seattle Seahawks general manager John Schneider said the team wants to reach contract extensions with linebacker Bobby Wagner and defensive tackle Jarran Reed, who can become free agents after the 2019 season. Wagner will represent himself in contract negotiations. The 28-year-old remains the heart and soul of Seattle's defense in the post-Legion of Boom era. He has exceeded 104 tackles in all seven seasons in the league and had 138 tackles, one sack, two forced fumbles, one fumble recovery, one interception and one touchdown. Seattle Seahawks general manager John Schneider doesn't expect defensive end Frank Clark to hold out this summer after slapping him with the $17.1 million franchise tag for 2019. Clark and the team have until July 15 to work out a deal, and the pass-rusher will likely want $18-20 million a year for four or five seasons. Schneider also hasn't denied that the team will listen to trade offers for Clark. He hasn't been in attendance for the voluntary workouts of late. Contract issues aside, the 25-year-old had a career-high 14 sacks in 2018 and has 36 quarterback takedowns in his four seasons with Seattle. He'll be a high-end IDP selection this year. Jacksonville Jaguars cornerback Jalen Ramsey and linebacker Telvin Smith are absent for the team's voluntary offseason workouts. Head coach Doug Marrone has spoken with Ramsey, who is skipping the workouts to remain closer to home. The cornerback has vowed to come back in great shape. Front-office chief Tom Coughlin has criticized both Ramsey and Smith for not reporting to the team's offseason program, but the two defenders remain Jacksonville's best players on that side of the ball. Tampa Bay Buccaneers tight end Cameron Brate, who had offseason hip surgery to replace a torn labrum, is running and catching the ball without pain. He will likely be cleared for training camp but is expected to miss organized team activities and the mandatory minicamp in June. Because of poor health, Brate had only 30 catches for 289 yards and six touchdowns after two seasons where he averaged 52 catches and 625 yards. The labrum injury was actually suffered in 2017, and Brate tried to play through it last year. Most of his production came late in the year with O.J. Howard on Injured Reserve. While Brate is a great red-zone target in this offense, Howard will overshadow him in production if he stays healthy. Brate will be a touchdown-dependent TE2. Head coach Bruce Arians' offenses typically only feature one pass-catching tight end as well. Fantasy Spin: Darnold showed some definite flashes as a rookie, throwing for 2,865 yards, 17 TDs and 15 interceptions in 13 games while finishing 27th among fantasy QBs. A jump to QB2 range in Year 2 is certainly on the table. Running back Jonathan Stewart signed a one-day contract to retire with the Carolina Panthers after 11 seasons in the NFL on Tuesday. 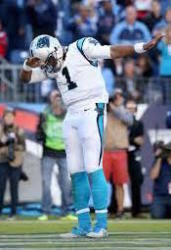 He spent 10 of his seasons with Carolina and is the team's all-time leading rusher with 7,318 yards and 51 touchdowns. The 32-year-old had just six carries and 17 yards in three games with the Giants in 2018 before he landed on Injured Reserve. Stewart was the No. 13 overall pick in 2008 and averaged 923 scrimmage yards with 27 total touchdowns in his final four years with the Panthers. New York Jets RB Le'Veon Bell was a no-show Tuesday, April 23, on the first day of the team's voluntary minicamp, but head coach Adam Gase didn't appear overly concerned. 'It's voluntary,' Gase said, noting that Bell was with the team earlier this month for the first week of the offseason program and adding that Bell has a strong self-training regimen. Fantasy Spin: This absence is just a little different than the one that burned fantasy owners last year in Pittsburgh, and Bell remains a no-doubt RB1 until further notice. New York Jets RB Le'Veon Bell was not spotted with his teammates Tuesday, April 23, as the Jets opened a three-day voluntary minicamp. Fantasy Spin: The key word in the above is "voluntary," but one would think Bell has had enough time away from football and would want to start off with a good impression on his new team. Until further notice, though, Bell remains a solid RB1. Washington Redskins QB Colt McCoy (leg) underwent a third procedure on his leg, but he could be ready for workouts next week. 'What happened was when he had the injury we were aggressive trying to get him back on the field so fast we didn't give it time enough to heal the right way so they went back in and did a small procedure to make sure that thing is on track to be full strength by the season,' head coach Jay Gruden said at the NFL League Meetings in Arizona last month. McCoy had a third, minor, surgery afterwards. Cincinnati Bengals DT Adolphus Washington was waived Tuesday, April 23. Free-agent RB Jonathan Stewart (Giants) signed a one-day contract Tuesday, April 23, to retire with the Carolina Panthers. Los Angeles Chargers DE Joey Bosa's fifth-year option was exercised Tuesday, April 23. We hope you are enjoying your free trial. Your free trial ends in 160 days. Keep your league active for the entire season with our subscription service.